With Spring Training right around the corner, it’s time to take a look at the different positions on the Indians’ roster. In this article, we will take a closer look at the starting pitching, which is the strength of the Indians roster. Last season, four starters threw over 200 strikeouts and according to MLB Network’s program “Top 10 Right Now: Starting Pitchers” two of the Indians starters, Corey Kluber and Carlos Carrasco are considered top 10 pitchers. 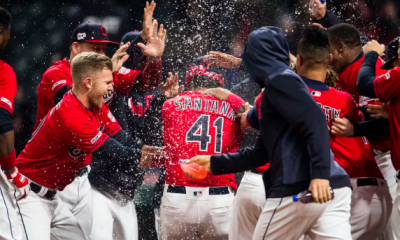 This season, the Indians will go as far as the starting pitching can take them, so let’s take a look at what we have. Corey Kluber is a two-time CY Young award winner and a three-time All-Star. He’s a career 96 – 55 with a 3.09 ERA and 1423 career strikeouts. 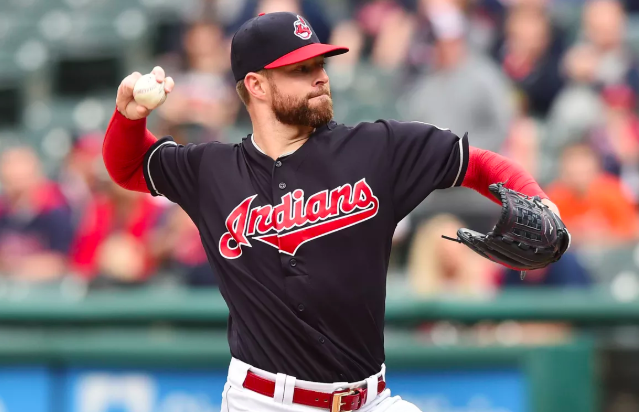 In 2018, Kluber had his first 20 win season, but he did not seem as dominant as previous years as his strikeouts per nine innings went down and he gave up career-high 25 home runs. 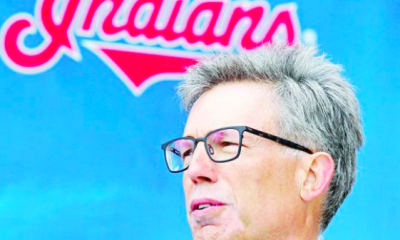 This off-season, there were rumors of the Indians possibly trading Kluber away. 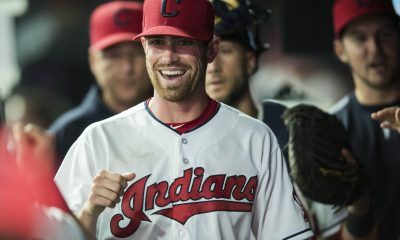 His high contract number added to his post-season struggles as well as the depth the Indians have in the rotation made the possibility make sense. 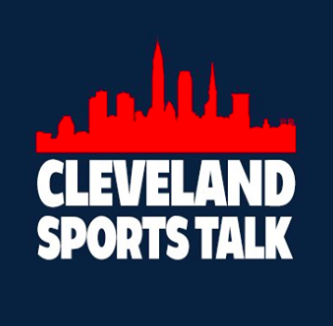 For now, Kluber will still be the anchor of the staff and hopefully he will have the opportunity to silence his detractors who are concerned with his recent postseason performances. The 2017 and 2018 seasons were Carlos Carrasco’s best. 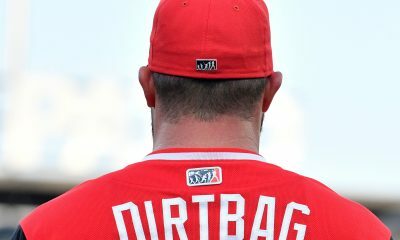 His 18 wins in 2017 led the league and he followed it up in 2018 with a 17 win season. Using some of the newer metrics, Carrasco’s 2018 numbers are quite good. His ERA+ was 129 (league average is 100), FIP was 2.94 and his WAR was 3.9. While these numbers should not be the be all and end all, they show that he was very productive for the Indians in 2018. Carrasco will be 32 years old by Opening Day and has pitched over 190 innings the last two seasons. For the Indians to make a successful playoff run Carrasco will need to be at his best. 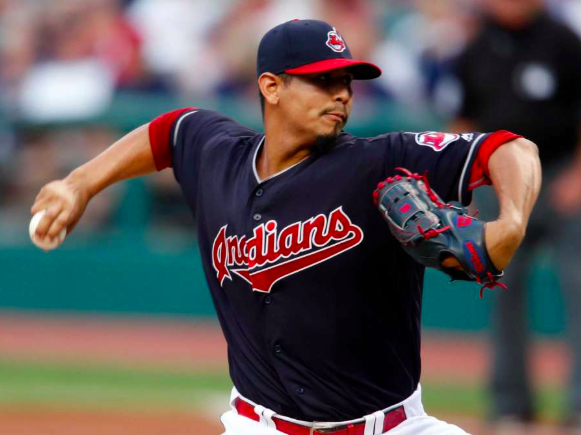 Carlos Carrasco looks to have a huge year! Next up is Trevor Bauer. What nice things can we say about Bauer that he hasn’t already said about himself. Bauer had a career year in 2018, even with missing time due to an injury. He went 12 – 6 with an ERA of 2.21, which is about two runs less than his previous best season. 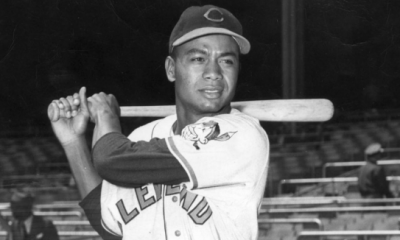 He also had a career-high 221 strikeouts and only gave up nine home runs. As a pitcher he is constantly trying to improve his game but there is the other side of Trevor Bauer. Bauer is a weird guy. 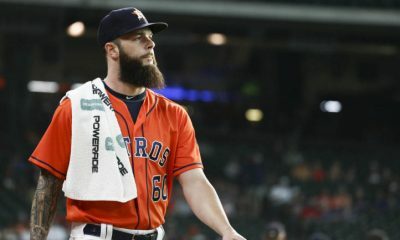 From his “69 Days of Giving” to his love of drones to his Twitter beefs with Houston Astros fans, there are times when Bauer is more of a headache than an aspiring ace. Hopefully, he can stay on the straight and narrow and continue his on the field dominance. Coming in as the number four starter is Mike Clevinger. His emergence in 2018 was remarkable. He went 13 – 8 with 207 strikeouts and a 3.02 ERA. He ranked in the top 10 amongst American League pitchers in many statistical categories. 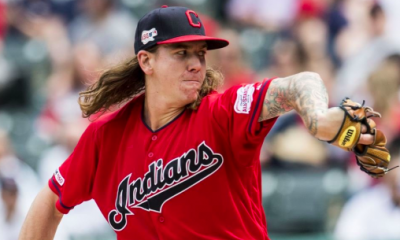 His first opportunity to be a free agent is 2023, so expect to see Clevinger pitching for the Indians for quite some time. These four pitchers combined to start 122 of the 164 games during the 2018 season. 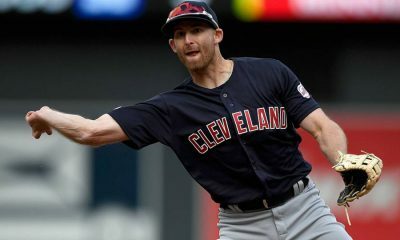 The other 40 were started by Josh Tomlin, Shane Bieber and Adam Plutko. Tomlin struggled last season and is currently a free agent who is not expected to return to the Indians. As for Bieber and Plutko, they will most probably be fighting each other for the 5th spot in the rotation. Bieber went 11 – 5 with a 4.55 ERA while Plutko went 4 – 5 with a 5.28 ERA. On the surface, Bieber’s numbers are better, but it is important to understand that Plutko also pitched out of the bullpen in five of his 17 games he played and not all his bullpen innings were comparable to his starting innings. 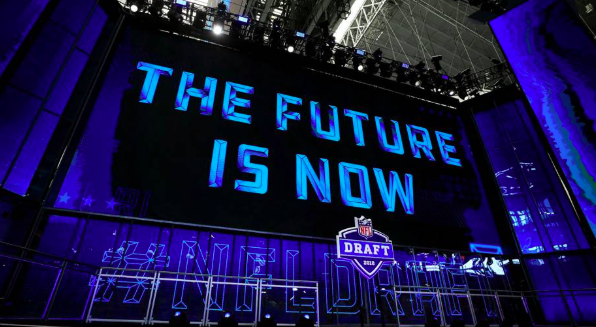 Both are expected to be contributors to the team not only in 2019 but for years to come. Two other names that are expected to be in the running for the 5th starter spot are Danny Salazar and Cody Anderson. Both Salazar and Anderson missed the 2018 season due to injury and we do not know how they will fare once they get back on the mound. Salazar was an All Star in 2016 and if he can get back to that form he could win the final starting spot. Additionally, he has pitched some out of the bullpen, so even if he’s not a starter, it doesn’t mean he won’t be on the team. Anderson is more of a question mark. He went 7 – 3 with a 3.05 ERA in 2015 but struggled in 2016 with a 2 – 5 record and a 6.68 ERA. The Indians also have a few potential starters in their minor league system. Players like Triston McKenzie, Ethan Hankins and Sam Hentges have been gaining momentum over the last few years. A couple other players like R.C. Orlan and Rob Kaminsky have been invited to Spring Training, so we will get to see what they can do. Good teams know that you need to be at least seven or eight deep at starting pitcher to make it through the season. 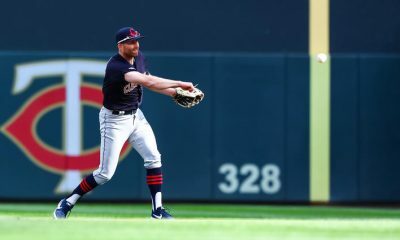 The Indians have the top end talent in Kluber, Carrasco, Bauer and Clevinger as well as some question marks in Bieber, Plutko, Salazar and Anderson. This is going to be an interesting season and the starting pitching will play a key role in how well the Indians do, let’s hope it can win us a World Series!